Cops ‘N Robbers by Play'NGo is an icon-matching game that is totally different from an earlier Novomatic slot that goes by the same title. Although similarly built on a storyline about cops chasing robbers, this game has nine (9) paying lines. Players here, role play as a robber trying to elude the cops; but they should not be wary of the Flashing Siren when it comes into view. The icon is actually a boon, since it is a Wild card that not only helps in completing a payline win. 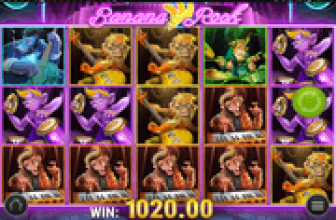 A Siren Wild doubles the winnings of combinations that it helped complete. If three (3) Police Cars altogether arrive at the scene, the Car Chase Bonus Round sets off. 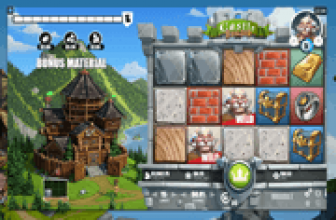 Players receive an unspecified number of free-spins, which they will use in avoiding pursuing law enforcers. If they succeed in evading the cops, their bonus wins double. Should a bonus player gets busted, the free round culminates. Money Bag icons landing as winning combination, bring the highest regular-symbol payouts. 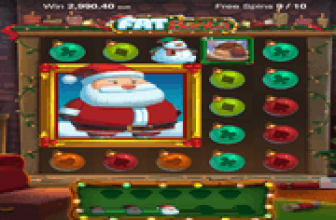 A grouping of 2, 3, 4 or 5 Money Bag images organised as a payline win, correspondingly awards 2, 25, 150 or 750 coin credits. Rewards may increase, if in case a Siren Wild forms part of any winning combo; in light of the Wild's 2x Win-Multiplier. Winning arrangements though must always start from the leftmost column, while only the longest grouping will be appraised as payline win. Flashing Siren Wilds appear in any reels. When a wild's alignment with identical images results to a payline win, the Wild's 2x Multiplier doubles the payout awarded by the winning icon. Siren Wilds converging as 2, 3, 4 or 5-of-a-kind contents of a payline also garner payouts. Actually, Wild combos command the highest range of pays; i.e. 3, 30, 300 or 3000 coin credits. A scattering of three (3) or more Police Cars arriving simultaneously by way of a single spin, activates an unspecified number of Free Games. The bonus round depicts a Car Chase, with bonus players taking on the role of fleeing miscreants. Cops ‘N' Robbers players entering the bonus round immediately receive a Scatter Prize. Two, three, four or five Police Cars landing as Scatter Combo, correspondingly awards 2, 3, 25 or 250 times the current Total Bet. During the high-speed chase, the screen occasionally displays a Police Road Block Warning; prompting players to choose one of two (2) directions. If they make a correct turn, the free round carries on. Any winnings garnered by the related spin will double. A wrong choice though enables the pursuing lawmen to put the fleeing robber behind bars. That being the case, the Car Chase Free Games end.